During a bout of rain on Australia’s Macquarie Island, a Royal Penguin hunches over its chick on its nest. They’re much cleaner when they come back from a swim! 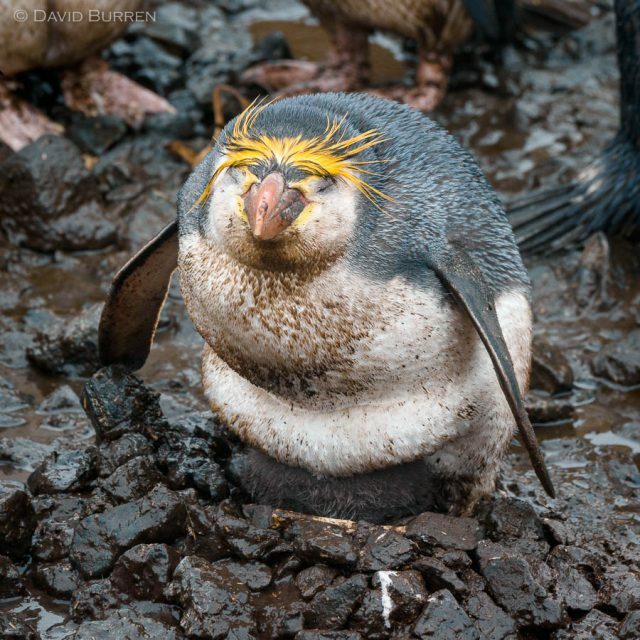 We will be returning to Macquarie Island with another photo workshop this December. Australia, Macquarie, Subantarctic, wildlife. Bookmark.